Network security breaches have been in the news lately. Hackers have targeted such large organizations as the federal government’s Office of Personnel Management and the Bank of Bangladesh. While security breaches at large institutions make the news, cyber theft from small businesses quietly takes place in the background. Many of Miami’s small businesses handle more money through their computers and networks than through their cash registers. Credit card credentials, ACH transactions and emailed wire transfer instructions can all be targets for thieves. Over the past two years, cyber thieves have stolen nearly $800 million dollars from over 8000 small businesses. Regulation E, the federal rule that requires banks to reimburse consumers for unauthorized transactions, does not apply to small business accounts; individual businesses have lost over a million dollars to cyber theft and not been reimbursed. Managed IT support for Miami businesses can help to reduce your risk of cyber theft. 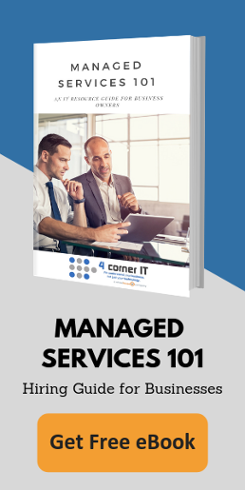 Instead of reacting to an incident after it occurs, your managed IT support vendor can examine and secure your network to reduce the risk of a breach. They can conduct a survey of your network to identify systems that need to be patched, and can look for systems with default passwords that a hacker might be able to guess. Developing a patch management plan and eliminating systems with default passwords can reduce the risk of a network breach. Cybertheft is a serious issue for Miami businesses. Companies that import or export goods are especially vulnerable as they often send wire transfers. A fraudulent wire transfer is very difficult to cancel or recall. For more information about computer and network security, please contact us.